On the first day of #INSP2015, keynote speaker Eric Liu inspired his diverse global audience to not just express their voices, but to demand power. Liu is the founder of Citizen University, a bestselling author, a world renowned journalist, a professor at the University of Washington and the former speechwriter for President Clinton. Using pointed examples of “old, ingrained, stuck, fixed narratives [that] are beginning to crumble,” such as the recent movement to abolish use of the confederate flag, Liu drove home the importance of outspoken citizenship in the fight against injustice. In the capitalist era, vendors, homeless and impoverished individuals have been confined to a particular narrative, Liu explained. This narrative has been dominated by perceptions of laziness, criminality, drug use and tough luck. Street papers, however, have the unique opportunity to create a new narrative in an era of international social organization. The narrative, Liu insisted, must be about power. Liu defined power as “the capacity to have others do as you would have them do” and emphasized the importance of creating conversation and stories around power. As an engaged Seattleite, Liu praised Real Change for their loud, active voice in the PNW (Pacific Northwest), and rejoiced in INSP’s ability to bring together members of the international community to discuss people, progress and power. Liu concluded his speech by outlining the three things that vendors, cities and the present generation need to do: talk power, teach power, take power. The crowd in Seattle University’s Pigott Auditorium nodded and applauded vigorously at this framework. Liu’s talk taught the crowd how they can take power. The aura in the auditorium was that of a group of bison bracing an attack from a pack of hungry wolves, but after being reminded of their horns and numbers, began running in full force to drive off the beasts. History is an unfinished book. Street papers and engaged citizens have the power to author the next chapter of this book. We are at an unprecedented point in human history, where inequality and activism are forces increasing exponentially as parallel foes. Follow #INSP2015 to find out more about what’s been going on during our Global Street Paper Summit. 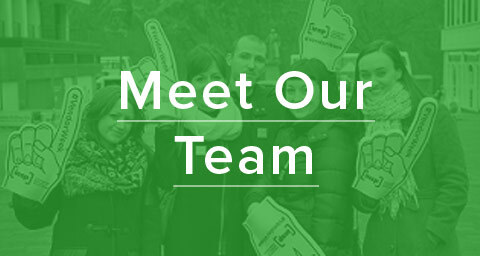 INSP's Glasgow HQ houses a small charity at the heart of a huge international network. 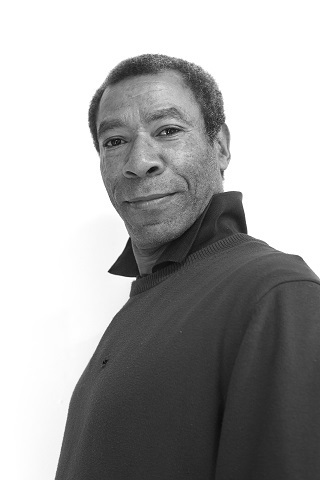 Glenn Walker has been all over the place, both in his life and as a Real Change vendor. He’s lived in Denver, New York and Chicago, but he’s lived in Seattle for years. 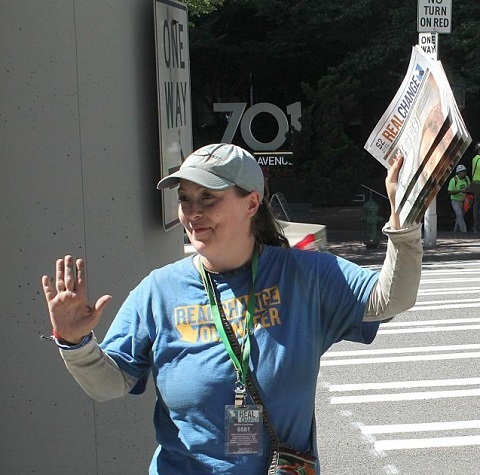 As a Real Change vendor, he gets around, too: Issaquah, Bellevue and Bainbridge Island are all on his regular route. 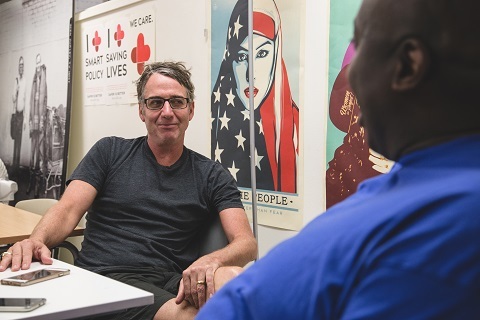 Hanna Brooks Olsen spent a day shadowing Glenn to find out about what it’s like to be a Real Change vendor. 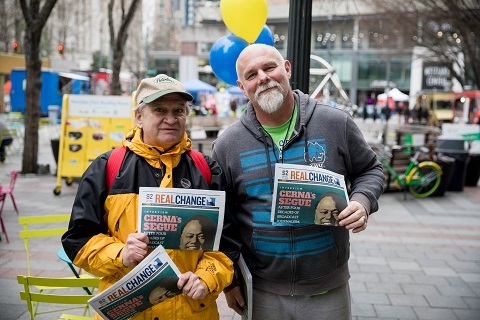 Norma has been living in Seattle since 2010 and was introduced to Real Change by her current partner in late 2016. 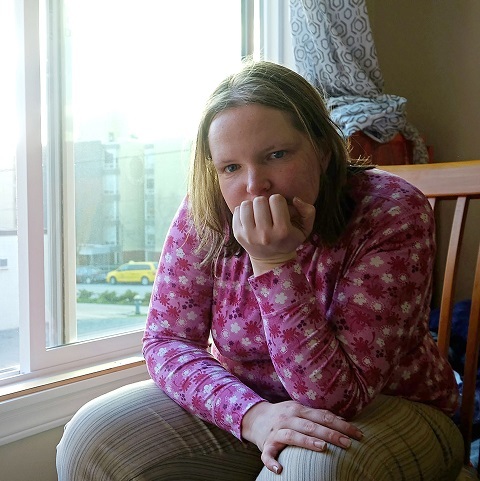 Here, she looks back on her life before moving to Seattle, praises the freedom that she has found by being a vendor and celebrates the resilience that has served her well since childhood. 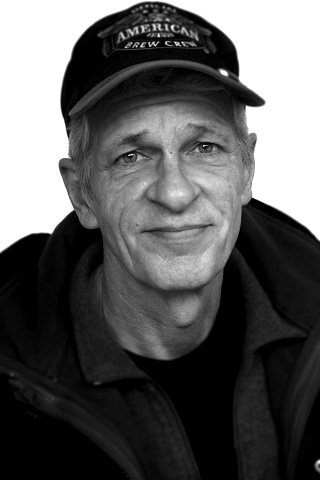 John has spent the last 40 years working as a handyman all over Washington state. He has been homeless since the age of 18. Here, he talks about his family background, the challenges that he currently faces and the importance of appreciating how lucky you are. 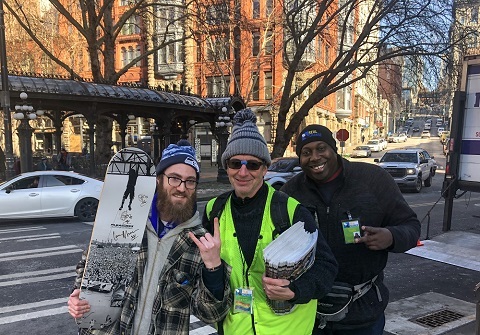 Today, North American street papers will join in with the #VendorWeek celebrations by hosting selling events, some for the first time. 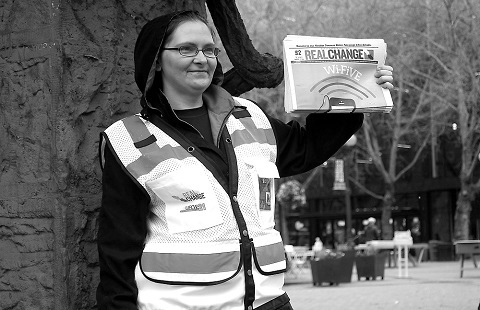 This #VendorWeek tradition is a chance for those unfamiliar with the street paper movement to understand better what street paper vendors do. Emmanuel Salter has travelled all over the USA, driven by his thirst for adventure. 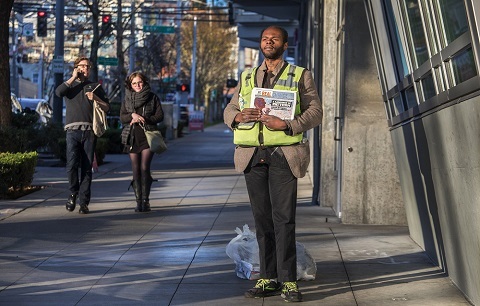 Now a Real Change vendor in Seattle, Emmanuel looks back on his life and reflects on the present, in which his is not homeless but ‘home-free’. 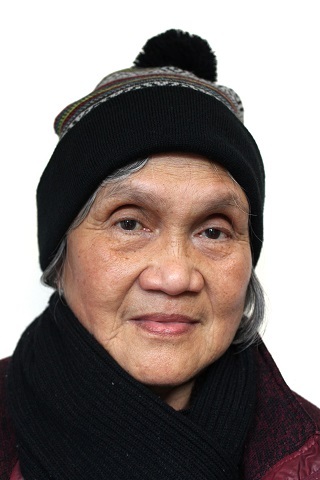 Rose moved to the US from the Philippines and she has been through some big changes in her life. 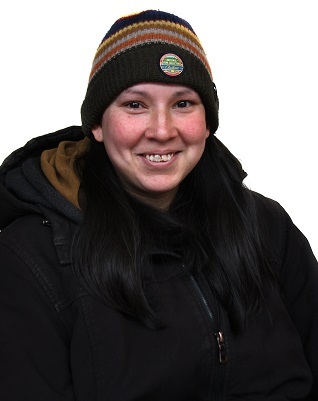 But working with Real Change has finally made her life change for the better. 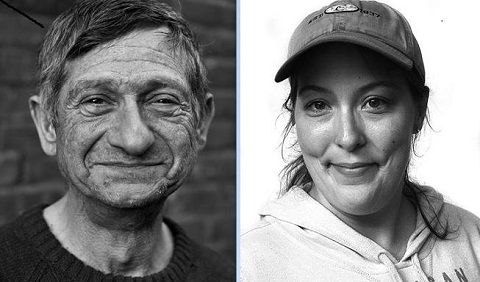 After five years of homelessness, Real Change vendor Lisa Sawyer finally got somewhere to live with her boyfriend. Now it looks like her new home may be slipping away. 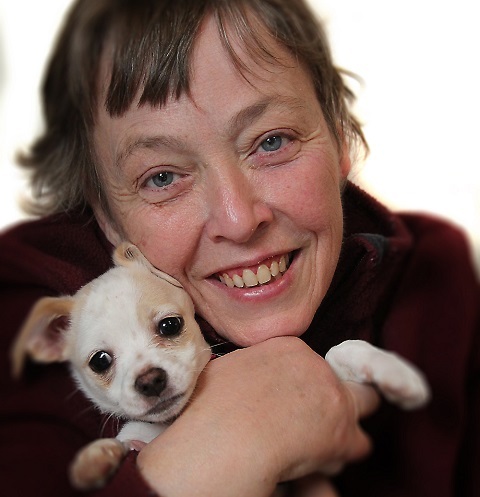 Rachel loves her home city of Seattle, but also feels a strong connection to Montana – she named her beloved Chihuahua-terrier puppy after a city there. When she’s not selling Real Change, or advocating for people with disabilities and service dogs, she likes to make balloon animals and even perform as a clown. Seattle street paper Real Change has made a passionate call-to-arms to its readers and supporters to join them in protesting against hate against the backdrop of Donald Trump’s first days as U.S. president. Selling the paper helps with the basics like bills and food, but also helps vendor Mellie Kaufman to feel better about herself and her life. “”Before I sold Real Change, I felt like I was nothing. Now, I feel better,” she says. 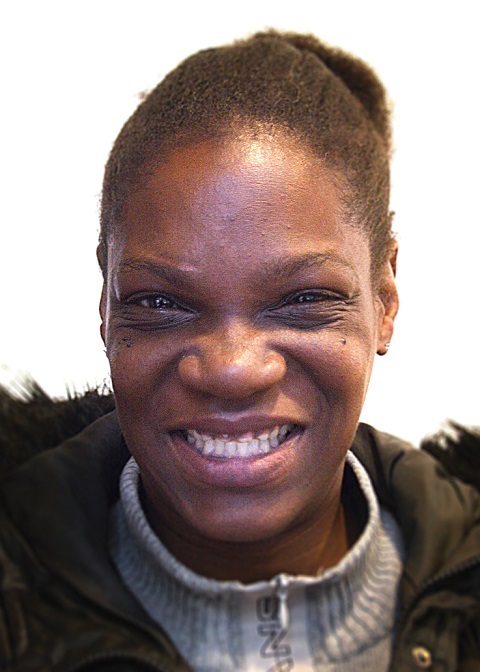 Becoming homeless came as a shock to Valerie Williams. 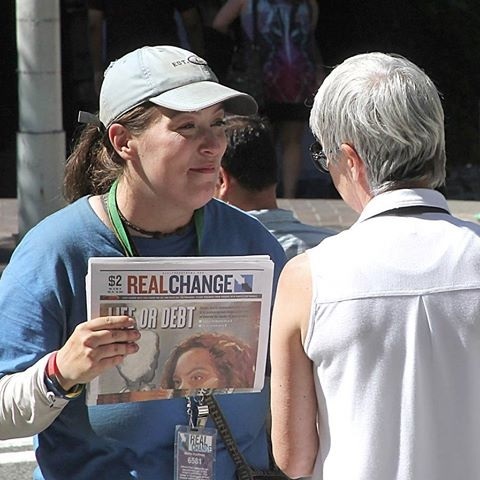 But thanks to the support of Real Change, she now has her own place and has recently worked as a paid intern with the street paper, helping her fellow vendors. 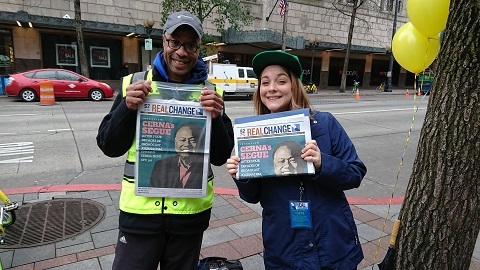 Real Change News’ Vendor of the Year Awards were scooped by two popular characters committed to putting smiles on the face of their customers.